Our Flight simulators are an essential tool in honing your skills as a pilot. You can practise realistic situations under expert instruction. At pmFlight, we have two high fidelity flight simulators based in the UK and we invite you to come and experience expert flight training at superb facilities, located conveniently near to Gatwick Airport. In today’s training environments where time is money and airline budgets are tight, every time you are in the simulator you are typically under test/evaluation. 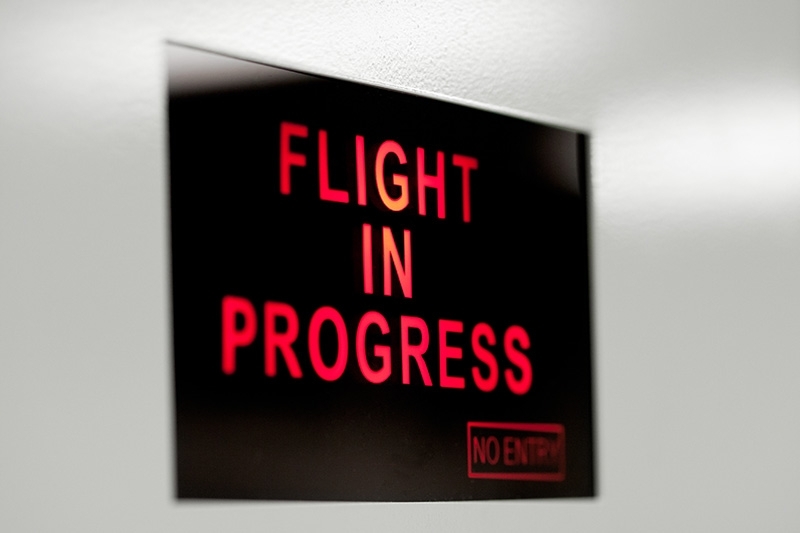 At pmFlight our focus is purely on training, meeting your needs and using the sim as an essential tool in honing your skills. We pride ourselves as a professional facility aimed at professionals. The simulators are backed up by generator power supply and in a fully air-conditioned environment. Our Boeing 737 simulator is a 737-800 CFM56-7BE Engine Type with full Glass Cockpit and Flight Management Systems. It has been in operation at pmFlight for the past five years. Many pilots have started their initial jet training on the 737. Although the simulator is fixed based (reducing operating and customer direct costs), it compares to a Level B simulator (Full Flight without motion). It employs many of the Full Flight Simulator (FFS) / (Level D) advanced aircraft systems, including typical failures. It also employs dynamic control loading (essential for aircraft condition feel) and motion-cue systems. As endorsement to the device capability, we have regular visits from current 737 line pilots practising for LPC/OPC. Ryan Air pilots are one of the biggest operators of the 737, it is no surprise that many visit us to brush up on their handling skills. The A320 simulator is used regularly by type rated A320 line pilots. It has failures with ECAM actions. It has become an essential device to practise beyond CBT trainers as it puts you in the full training scenarios in real time, like the FFS simply but without motion. Practising profiles, procedures, upper air exercises or simply handling and raw data scan work can all be done. A few airlines do check rides on the Airbus and here, if you have never experienced a flight with FBW or need to understand the airbus thrust management, or perhaps about to start a A320 type rating – then the fixed based A320 can give you that essential foundation and head start.